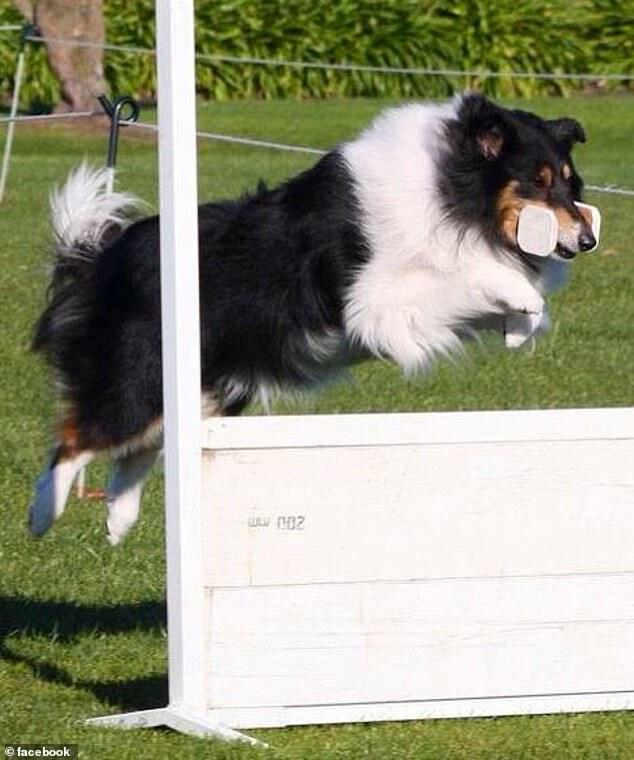 An adorable rough collie named Gucci has made a miracle recovery after being impaled on a metal spike while playing a game of fetch. Gucci was rushed to the Animal Emergency Service centre in south-east Brisbane after suffering puncture wounds to both sides of her abdomen by the metre-long rod, Courier Mail reported. 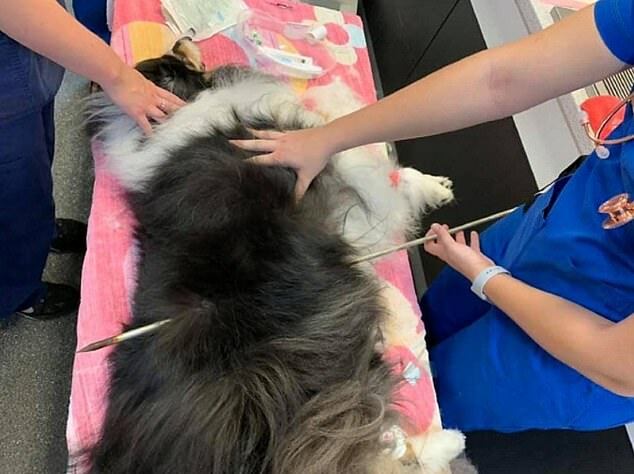 In a freak turn of events, another dog accidentally knocked over the rod at the exact time Gucci attempted to jump over it – causing it to slice straight through her body. Vet Elise Lenske said if the rod had pierced her body from a different angle it would have damaged her vital organs by millimeters and been fatal for the dog. Gucci was back on all fours and released after just 24 hours in the vet. ‘The owners had managed to keep her still, so that was a big help, and then once she arrived at the clinic we anaesthetised her pretty quickly,’ Ms Lenske told the publication.